4x3 has created a branding identity for AGA and the subsequent sub-brands of their three properties: South Square, Frankford Square and Trenton Stables. By analysis several aspects of AGA's brand we were able to create a case study highlighting the features of the company which fulfilled the 5 necessary components of a brand. A brand represents the sum of people’s perception of a company’s customer service, reputation, advertising, and logo. For example, when you think of Starbucks you consider more than just their famous mermaid logo. You also think about their holiday cups and advertising, fun promotional drinks like the Unicorn Frappe, and the smiling baristas that greet you at the counter. THIS is Starbucks' brand. 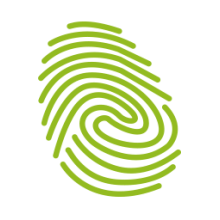 The recognizable logo and style allows AGA Developers to create a powerful reputation by associating their hard work and popular projects with their brand. This is why each of their sub-brands (South Square, Frankford Square and Trenton Stables) have gained recognition through the connection to their well-developed and professional parent brand. A professional appearance builds credibility and trust. Potential customers are more likely to purchase from a company that appears polished and legitimate. You are more likely to buy a new Apple product than a no-name, off-brand knock-off that hits the market on the same week. AGA Developers has a simple, yet powerful brand. The AGA brands allows you to transfer the same feeling of loyalty and trust that the other sub-brands command. When customers see a new development with AGA's parent brand on the side they know they will have the same old-fashioned craftsmanship and contemporary designs associated with all their other successful projects they have completed in the past. When all of the parts of the business are working well, the overall brand tends to be healthy. On the flip side, we all probably know a company that offers excellent products or services, but has a tarnished brand due to advertising (think Pepsi's most recent campaign). This is why a brand must always be considered when creating an advertisement. Advertising is an important component of AGA Developers' brand. Through traditional media and social media, AGA publicizes properties and developments that they are building on or selling, respectively. 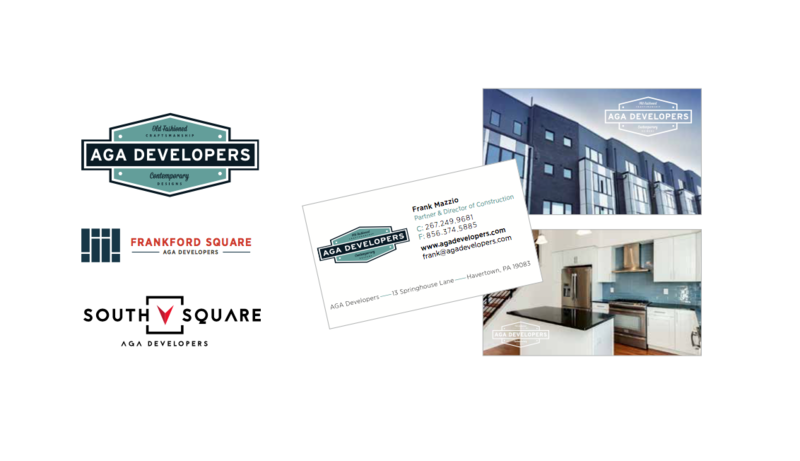 Each sub-brand – South Square, Frankford Square and Trenton Stables, is marketed directly through the parent brand's social media. They fall under the umbrella brand of AGA and as such, advertising for each development is directly associated with the parent brand. A strong brand usually guarantees future business. As AGA grows and develops more properties its brand continues to gain better the financial return from its efforts. Customer loyalty is important! And in the age of the internet and social media, word of mouth is essential for any business referrals. As discussed, AGA has built up a powerful reputation for building contemporary townhouses throughout Philadelphia's neighborhoods and satisfied home-buyers are one of today's the most profitable advertising source. At 4x3, we believe that your brand is the essence of your business. We work directly with our clients to create a brand that states who you are, where you are headed and the perception of who your clients and potential clients believe you to be. And just like our client, AGA Developers, we have what it takes to get your brand on track.